Philipp Oehme, Jo Weil & Thore Schölermann. Don't you just love this picture? I do. 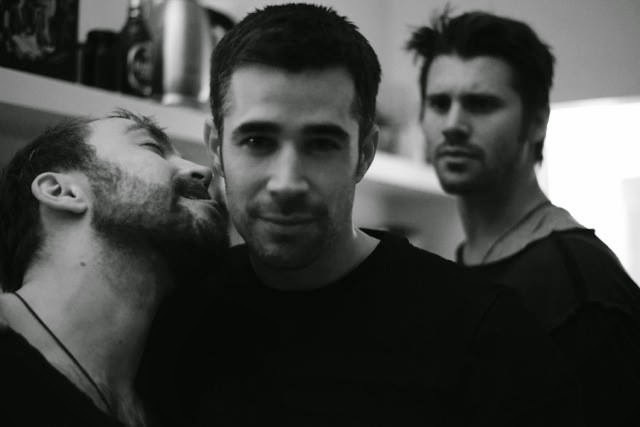 An what is just so peculiar with it is that the guy licking Joo Weil's ear is the actor Philipp Oehme who plays the part of Thore in Verbotene Liebe, and Thore is what the actor who plays Christian is called, and Christian used to be married to Olli, played by Jo, who is in the middle. Well, you get the picture!